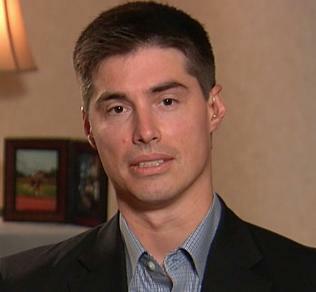 The brother of American journalist James Foley said Friday morning that the U.S. government could have done more to attempt to free his brother and other American hostages from the Islamic militant group ISIL. Foley, a 40-year-old journalist who was covering the Syrian conflict for GlobalPost, was kidnapped nearly two years ago near the Syria-Turkey border. ISIL, also called ISIS, released a grisly video of his beheading Tuesday, claiming it killed him in retaliation for U.S. airstrikes in the region. But another issue was money. The group had also captured French and Spanish journalists, but freed them after their governments paid ransoms through intermediaries. The U.S. government refused to negotiate or pay the group on behalf of Foley and other American captives. ISIL emailed Michael Foley and demanded 100 million euros—a sum he called “ridiculous”—for his brother’s release. “I just feel strongly that more can be done moving forward,” Michael Foley said. The Obama administration said this week that it had sent a special military operations force to try to rescue Foley and the other Americans over the summer, but that the mission failed. “I’d like to think it did happen, but I certainly wasn’t aware of it,” Foley said of the failed mission. ISIL has threatened to kill another captured American journalist, Steven Sotloff, next. Michael Foley said he hopes the U.S. government does more on his behalf, including considering trading prisoners held in Guantanamo Bay, Cuba. “I don't believe ISIL can be contained — containment is not a strategy. We need to recognize that they are a threat and we need to deal with them,” Michael Foley said. Michael Foley and his sister Katie, 26, told Couric that condolences have come pouring in from all around the world. Pope Francis called their family yesterday, telling them that James Foley’s death was an act of martyrdom. The family briefly had hope that they would be able to negotiate for his release, after an intermediary made contact with ISIL on their behalf. But then the U.S. government began bombing ISIL earlier this month. On August 12, ISIL sent Foley’s parents a “chilling” email saying their son would die to pay for the airstrikes, according to Michael Foley. “I don’t understand where that type of hate could come from,” Katie Foley said. The family believes that Foley volunteered to be the first American to be executed. “You can see from the clips from the video that he wasn’t afraid,” Michael Foley said. European journalists who were captured by ISIL but later freed told Foley’s family that the journalist made a makeshift board game out of objects they found and even taught his fellow captives Spanish as a way to keep hope alive. The U.S. government says they will hunt down and punish Foley’s killers. Foley’s friends have set up a scholarship fund in his name at Marquette University, where he graduated in 1996, for disadvantaged students.